Credit card company Mastercard has announced its plans to bring its new password system to 14 countries in Europe and North America, including the UK. The system is called “selfie pay,” and it works much like it sounds. Rather than entering a password when making a transaction, users would use the camera on their smartphone to take a picture of themselves to verify their identity. “Consumers hate passwords,” says Ajay Bhalla, who leads the development of Mastercard’s new security features. 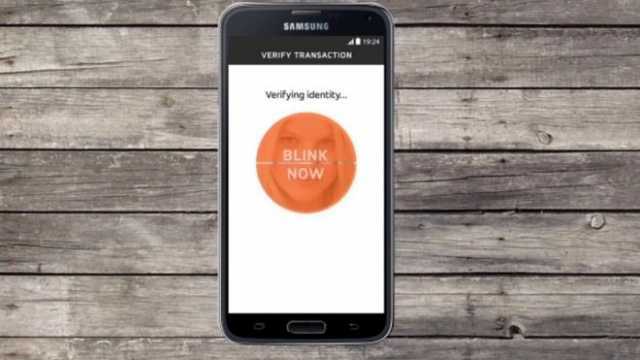 Mastercard trialled it’s “selfie pay” system last year in the US and Netherlands. It was reportedly very well received by users. However, there have been several security questions raised over the system. To prevent others from simply using a picture off of your Facebook profile to pass the security feature, the system will ask for the user to blink before it takes the picture. Alternatively users can elect to use a fingerprint rather than a picture of their face. Mastercard believes that security programs that authenticate who you are, such as your face or fingerprint, and not what you know, such as a password, are the future. Mastercard is not the only company exploring alternative options to traditional online security. Both Microsoft and Google offer facial recognition as a way of unlocking their devices, and Chinese company Alibaba is also developing a system to use facial recognition when you pay. For those who are looking for more security, or who are simply tired of re-entering their password, Mastercard plans to release its “selfie pay” system this summer.